2018/2019 FEDERAL COLLEGE OF EDUCATION, OYO POST UTME SCREENING ADMISSION EXERCISE. 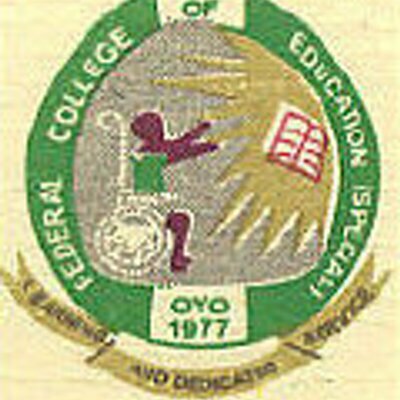 Candidate(s) who made the Federal College of Education (Special) Oyo as their choice of the institution during the 2018 UTME and whose score is 100 and above. Candidates who did not choose the College initially but scored 100 and above are also eligible to apply. Note that the College may require you to eventually change to the first choice if they will eventually give you admission. This applies to those who had chosen the as 2nd, third or not at all. Candidates must equally possess at least 5 credit passes in their SSCE results in not more than two sittings. Such grades must be from the subjects right for their proposed courses in the college. Candidate will be expected to complete the admission screening form on-line starting from Monday, 13th August 2018. Two copies of UTME e-notification of results slip. Original and photocopy of the print-out copy of the on-line completed admission screening application form. SSCE/GCE O’ Level (WAEC/NECO) (NABTEB for Vocational & Technical Courses only) results or equivalent. Please note that full payment for these items is required for completion and submission of the application form. Print out the Online Application Form to ascertain successful registration. Candidates are to please take note that the deadline for submission of the application for the admission screening on the College website is 9th October 2018. Time for the commencement of the screening on 10th October 2018 is TIME: 9.00a.m prompt and VENUE: As indicated on the print-out copy of the online completed Admission Application form. The general public is hereby notified and warned against falling into dubious people or 419 directing Candidate(s) seeking admission into FCE(s) Oyo to pay a certain amount of money into their Bank Accounts for Degree & NCE Regular Programme of the College. Candidate(s) are to follow the procedure on our portal (i.e www.nceportal.fcesoyo.edu.ng www.fcesuidegree.com www.prence.fcesoyo.edu.ng) in paying fees online. ADEYEMI COE Post UTME/DE form is out. See Procedures, Cut Off Mark, Price and Closing Date.